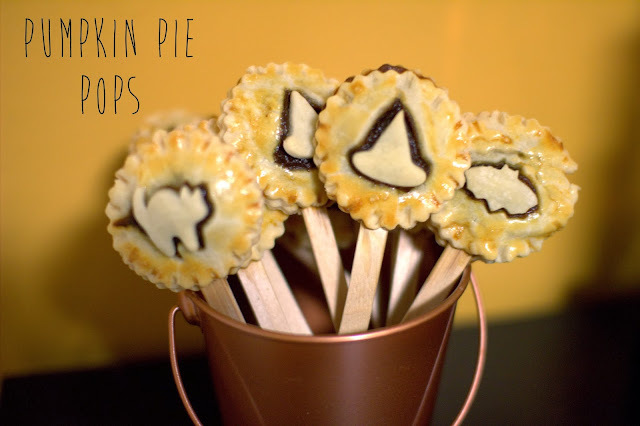 Seriously, how cute are pie pops? You may have seen my previous summertime variation here. Pumpkin pie is one of my favorite fall desserts; sans nutmeg and pumpkin pie spice, I’m strictly a cinnamon girl. I decided to try the bite sized version on a stick. I used some Halloween themed Linzer tart cutters for a festive touch. These were perfect served slightly warm with a nice tall glass of milk. 1. 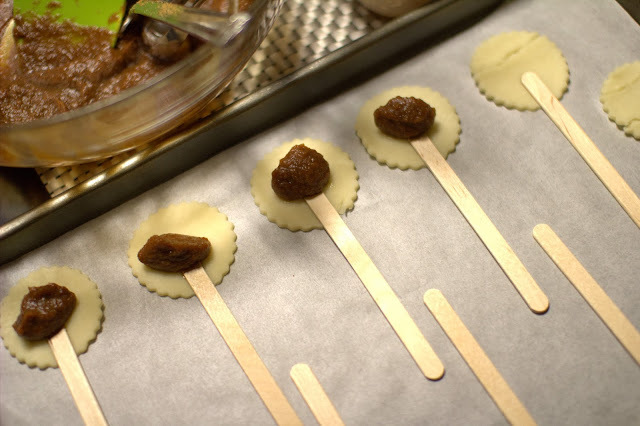 Preheat oven to 325 degrees F. Line 2 cookie sheets with silicone liners or parchment paper. Set aside. 2. In a large bowl, mix together the pumpkin, sugar, butter, 2 tsp egg, vanilla and cinnamon until blended. 3. 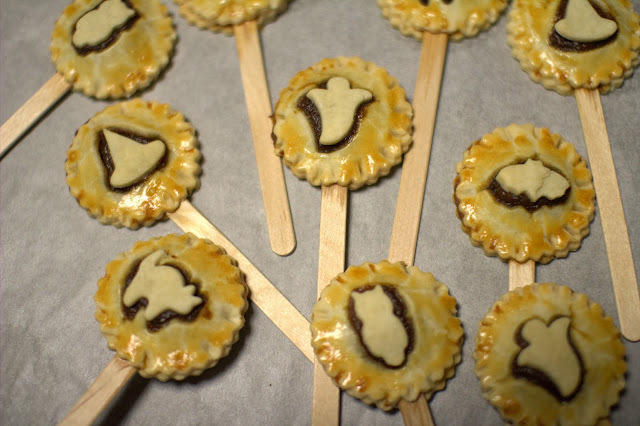 Gently roll out pie crust. Cut pumpkins using a cookie cutter. 4. 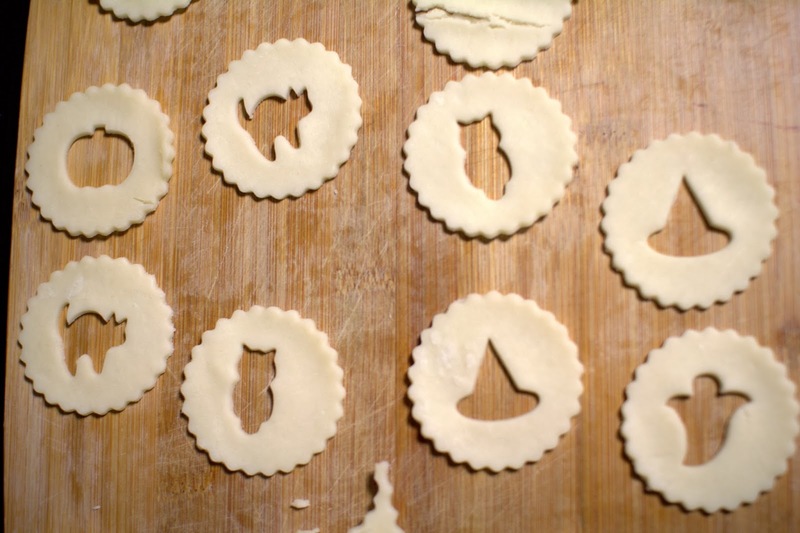 Lay down crust shapes on the prepared baking pan. 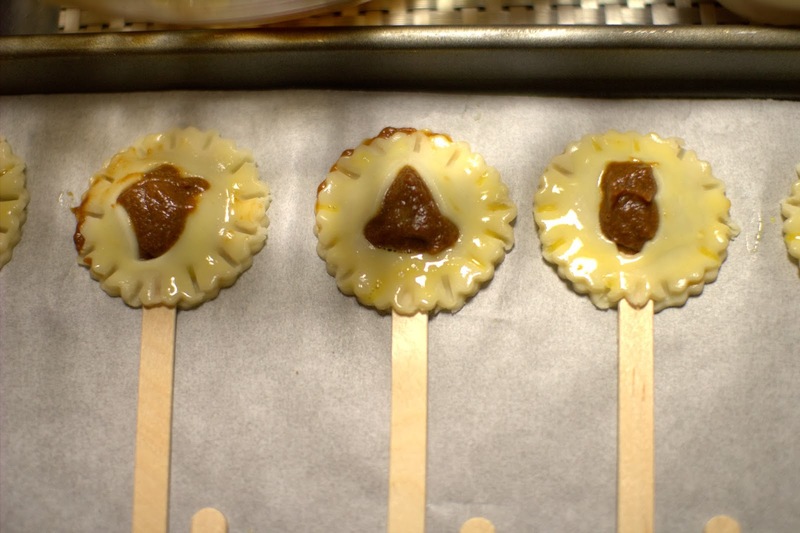 Top with a teaspoon of mixture in the center, then gently press a popsicle stick into the mixture. Top the mixture with second layer of dough. Carefully press the edges of the pies to seal. Crimp using the edge of a popsicle stick. 6. Brush the pops with the remaining egg. 7. Bake for approx. 16-19 minutes or until golden. Allow to cool several minutes before serving.